The fastest, easiest way to create paid membership sites without Wordpress™. 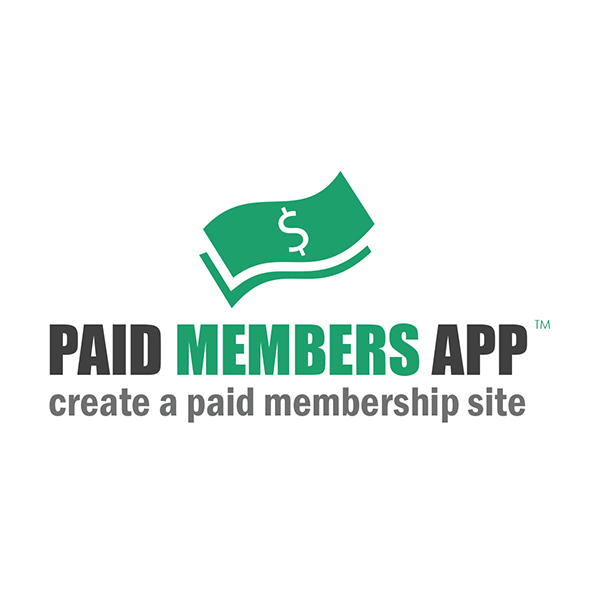 Welcome to the Paid Members App™, the best membership site plugin available in the Weebly™ App Store. Now with recurring subscriptions - sell monthly or annual subscriptions and even offer free trial periods. For the first time in the history of the Universe, you can make a paid membership site with a WYSIWYG drag-and-drop website builder - and not only any WYSIWYG editor - Weebly™...the easiest and fastest WYSIWYG editor on the market. 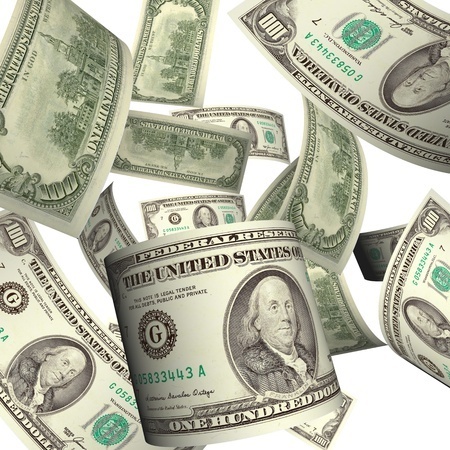 Making money has never been this easy and this fun! Transform your normal Weebly™ website into a membership site with our easy to use Weebly'™ membership site plugin available in the Weebly™ app store. Your members get instant access to your paid membership areas as soon as they make the purchase instead of having to literally wait around for you to manually add them. You might enjoy running to your computer at 2am like a Pavlovian canine when you receive an email that a customer just purchased a membership, but I sure don't. Wouldn't it be so much nicer to stay in bed and know that the whole process is handled for you? 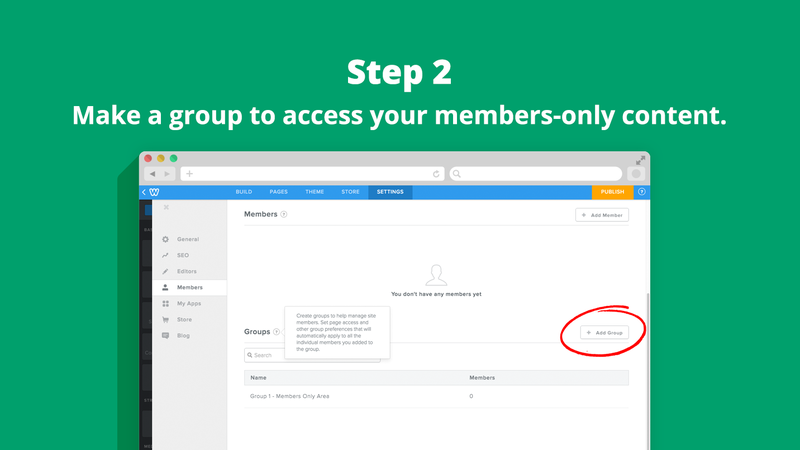 Now you can create paid membership areas in Weebly™ with our Weebly™ membership site plugin . 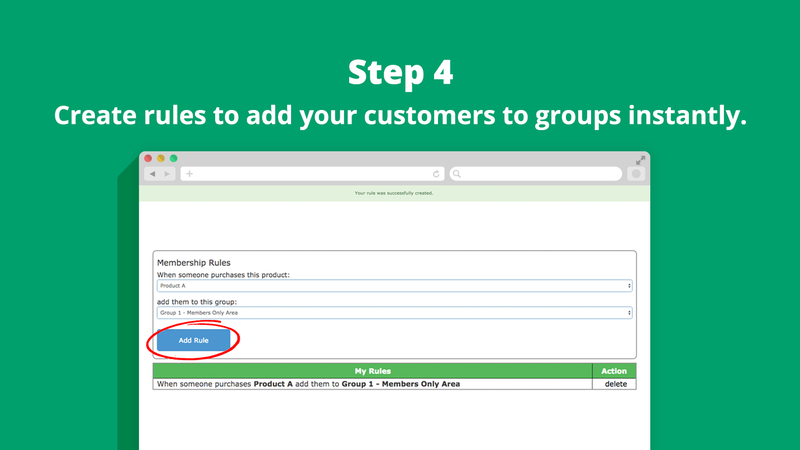 Your customers can receive instant access to your membership groups as soon as they complete their purchase. Just install our app and for any product in your store, you can associate one or more of your membership groups. When your customer purchases that product, she is instantly added as a member to your site, sent an email invitation, and provided access to your chosen groups. Your customers won't have to wait around for you to manually add their email to the backend of your Weebly website via you copying-and-pasting their email into the members section of the settings area after you receive the order confirmation email from Weebly™ anymore. They now have instant access to your paid membership area. This app is great for transforming your Weebly™ website into a membership site with paid membership areas, paid online tutorials, courses etc. We are excited to announce that with our April 2017 update, the app now offers recurring payments too! Is there an iPhone or Android version of this app? No. This app is in the Weebly™ app store and extends the functionality of your Weebly™ website. You can sell online tutorials, info-products (e.g. ebooks and video tutorials) and your customers will have instant access to the content (rather than waiting around for you to add them manually on the backend of your site). This allows you to scale your website and sell more products without any additional demands on your time so you can create passive income through your Weebly™ website. What are the requirements to use this app? Allow Users to Register with Your Site - make sure to activate a registration option for your site, by going to Settings > Members and clicking the "Allow people to register with your site" checkbox. Details on Weebly here. How many Membership Rules can I set up? You can set up unlimited Membership Rules. How many groups can I set up against which I associate Membership Rules? You can set up unlimited groups. How many products can I set up against which I associate Membership Rules? 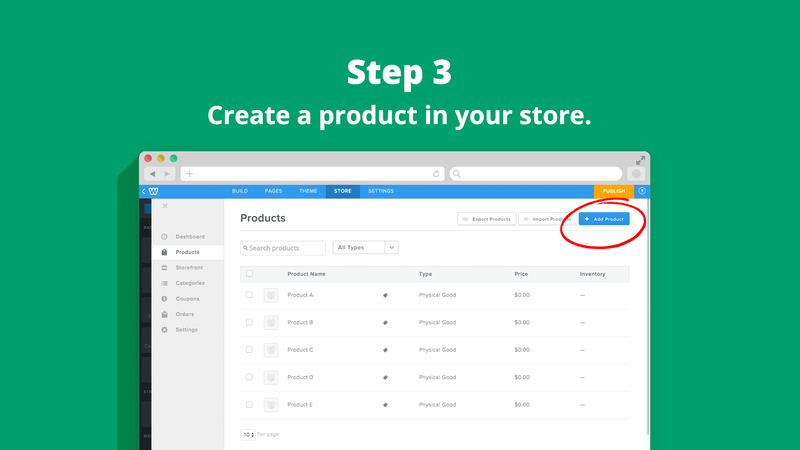 You can set up unlimited products. Does the app facilitate recurring payments? Monthly recurring subscriptions with automatic billing every 1 month, 2 months, 3 months, 6 months etc. We will renew your customers in the app every time they renew their subscription and we will remove them from the app, notifying you and the customer when we do so if they fail to renew their subscription. Does the app facilitate cancellation of recurring payments? You can cancel your own customer from within Stripe™'s easy-to-use dashboard and the app will be notified immediately and will remove your member's access from the member area for you. 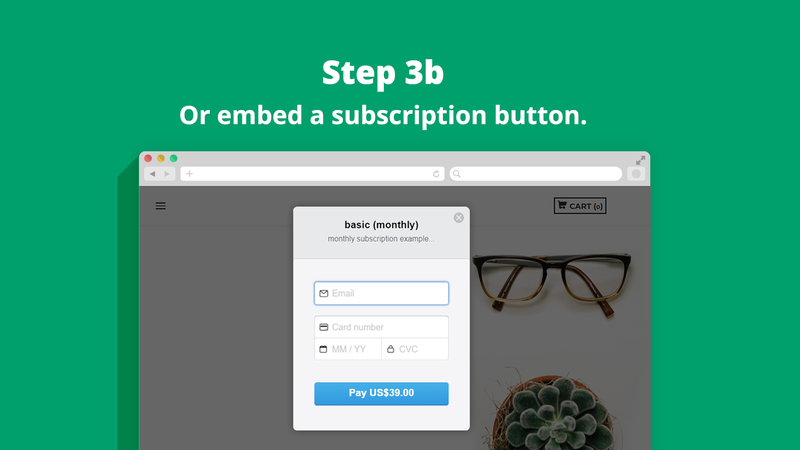 Alternatively, we now have an embeddable cancellation form so you can allow your customers to auto-cancel themselves via a simple form embedded into your Weebly™ website. To cancel, just uninstall the app and we will cancel your account or you can also cancel via the My Account link within the app. Our free trial lasts for ten (10) days to give you time to set up rules and test the app. You might want to create a discount code and purchase your own products to see what the user experience will be like when your clients purchase your products. I have a great idea for your Weebly™ membership site app or specific questions about the app - who should I contact?